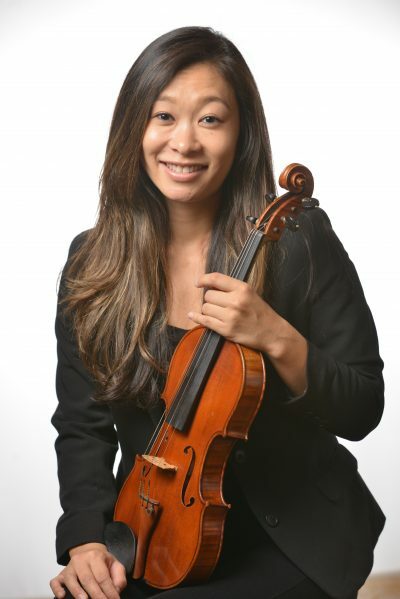 A native of Japan, Grace Nakano is the Assistant Concertmaster of the Tucson Symphony Orchestra. She received her Master of Music degree in classical performance from the Manhattan School of Music with Lucie Robert and Bachelor of Music degree from Boston University with Bayla Keyes. She was a recipient of the Fine Arts Award at the Interlochen Arts Academy with Hal Grossman. She was also the First Prize Winner of the Duxbury Music Festival Chamber Competition in 2012. Prior to joining the Tucson Symphony, Grace was the Assistant Concertmaster of the National Repertory Orchestra, where she soloed with the orchestra in 2015. Grace has served as concertmaster at the Spoleto Music Festival USA for the past two summers. Grace has participated and served principal positions at festivals, including the National Orchestral Institute, Round Top Music Festival, Texas Music Festival, and AIMS Festival.